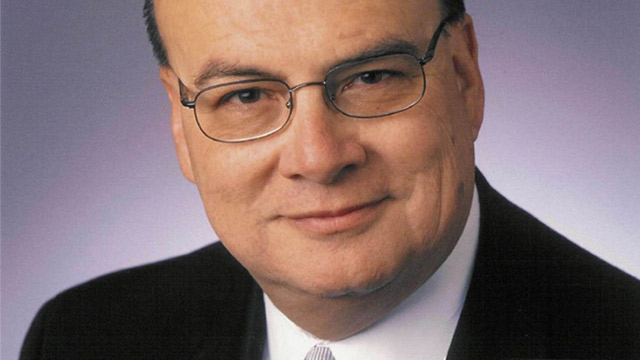 The Alamo Public Telecommuncations Council (APTC), which serves as the governing board for KLRN Public Television, announced today that effective January 1, 2015, Arthur Rojas Emerson will become President and CEO of KLRN, the Public Television station serving 30 counties in South Central Texas. "Our search committee spent several months in the process and we had applicants from all over the country. We took an introspective look at the strengths and confidence we already had in our senior staff at the station and discovered that the perfect person to lead was right here in San Antonio, ready and able to take KLRN to the next level of broadcasting and community service. Arthur’s heart has been with KLRN and the PBS system for many years and he should slip right into this new role with ease, grace and a wealth of experience. Frankly, we are terribly lucky to have him and are very excited about our future as we embrace all of the change and innovation that has come with the digital age," said Sam Boldrick, Chairman of the APTC Board. Emerson may be new to the executive team at KLRN, but he is not new to broadcasting or to KLRN. His rich history in local media includes building and opening Telemundo (KVDA) and later being assigned to manage the Telemundo stations throughout Texas. KENS‐TV was also a career stop for him that gave him sales and production experience. Emerson has an impressive resume of community involvement to include being Chairman of the Greater SA Chamber of Commerce as well as the Hispanic Chamber (the only person to have held both positions). He also has served on the boards of the Free Trade Alliance, the Texas Military Preparedness Commissions, the Port Authority of SA, CPS Energy and Luby’s. Additionally, Emerson received The Ernie Lifetime Achievement Award from The Avenida Guadalupe, the Silver Medal Award from The Advertising Federation, Media of Excellence Award from Women in Communications, the Distinguished Leader Award from the Greater Chamber of Commerce, the Brillante Award from Texas Hispanic Magazine, and was named a San Antonio Legend in recognition for community service by the South Chamber. “Working with the KLRN team is going to be one of the highlights of my career. It’s one of the gems in our community, and I’ve always had a passion for quality programs from Public Television and the many projects KLRN offers San Antonio and beyond. I feel strongly about the power of this organization and am elated to grow with it and work with the station that I have often called the best of the best,” said Emerson. The mission of KLRN is to enrich the lives of people throughout South Central Texas through the power of communication—providing quality programs and services that advance education, art and culture, and community.